How will electric vehicles contribute to the smart grid? Remember when electric vehicles were a new thing? Just a few years ago, everywhere we turned there were opinions, white papers, and articles espousing the wonders of electric vehicles, and an equal chorus of voices warning of the dangers and challenges of electric vehicles. Would they blow up half of a utility’s transformers while leaving half of their drivers stranded with drained batteries? Or would they create new opportunities for revenue or even load management? The possibilities were mind-boggling at times. Let’s pause for a moment and consider that electric vehicles are a critical piece of the evolving nexus between customers and the grid. While utilities have traditionally had hard boundaries between their customer operations and distribution operations, this siloed way of doing business is becoming obsolete. Driven by customer demands, customer needs are beginning to dictate how a utility needs to modify its decades-old business practices. Navigant Research estimates that there will be four million electric vehicles on the road globally by 2022, and that number will double within four years. While this is still less than one percent of all vehicles on the road, it's starting to look like a critical mass that will require new business models for utilities in terms of customer management and distribution operations. Smart Residential Charging: More than simply plugging in your car after a commute, smart charging enables charging times to be shifted based on grid loads and on the vehicle owner’s needs, which can be based on monetary incentives from the utility. 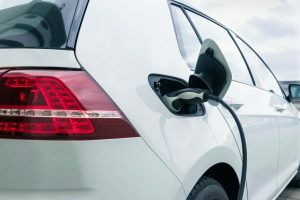 Vehicle-to-Grid (V2G) is a technology that enables connectivity of an electric vehicle with the distribution grid to provide demand response services by either returning electricity to the grid or by slowing down their charging rate. The monetary incentives for V2G will need to be developed so that the customers are motivated to deploy this service and so that utilities are able achieve the level of interaction that helps with grid management. As part of the “new” distribution grid that will include managing/coordinating rooftop solar, storage, microgrids and more, this will be just one piece of a very complex, interconnected system. Vehicle-to-Home (V2H) involves connectivity between a vehicle and the owner's home, providing an additional source of energy to the home. The vision here is that this connection can provide load shaving service during peak hours, as well as a source of back-up energy during outages. Renewables and Storage Integration: If electric vehicles are part of the complex new distribution grid, they'll also integrate with storage and renewables options in the grid. Imagine parking your EV in the garage, plugging in, and charging either at night when electricity is cheaper, directly off of your own rooftop solar, or even off of your own home storage (battery) system, all depending on your needs and your home’s electricity requirements as determined by algorithms that understand your usage patterns and needs. Cool technologies and use cases, right? But they're more than that. Taken as a whole, this is a very different operating model for utilities. “Managing” a customer will be more than providing a monthly bill and an occasional value-added service or product; there will have to be new levels customer analytics providing insights into a customer’s energy usage, needs and desires. This will create an opportunity for utilities to finally achieve the long-desired customer engagement nirvana: trusted energy advisor. But is the grid ready for electric vehicles? As for the grid side of this, remember that to a very large degree, the physical grid is still your grandfather’s grid. It was not designed with nimbleness or flexibility in mind. Moving this infrastructure forward will require not only power systems engineering, but also an analytics platform that can manage these massive data flows in real-time to enable predictive, timely, and reliable operations for what is becoming a digital utility. Moving this infrastructure forward will require not only power systems engineering, but also an analytics platform that can manage these massive data flows in real-time to enable predictive, timely, and reliable operations for what is becoming a digital utility. Recognizing that there are no simple solutions for the complex needs in this new operating environment, today’s wise utility leaders are developing best practices via proof of concepts, pilots, test beds, and learning from colleagues at other utilities. Not to be left out of how this all develops are the regulatory agencies that, in many cases, will ultimately dictate how innovative a utility can get in meeting the needs of this new ecosystem. The time has come for the customer and grid organizations at most utilities to become more than casually acquainted with each other. It’s time for a close encounter of an EV kind. Learn more about electric vehicles and analytics in the new report from Navigant Research and SAS. Mike Smith is a 26-year veteran of the utility ‘smart grid’/IT/automation, information services and media business, and is currently the Utilities Principal Industry Consultant for SAS, where he is involved in client engagement, thought leadership, and business development activities to drive growth of the business unit. Immediately prior to joining SAS, Mike was Vice President, Sales & Marketing at E Source. He was previously Vice President, Utility Analytics Institute where he has been responsible for product development, business development, and growth of the division. Mike is a graduate of San Jose State University (BA, Economics) and is a veteran of the US Army (Captain, Infantry).